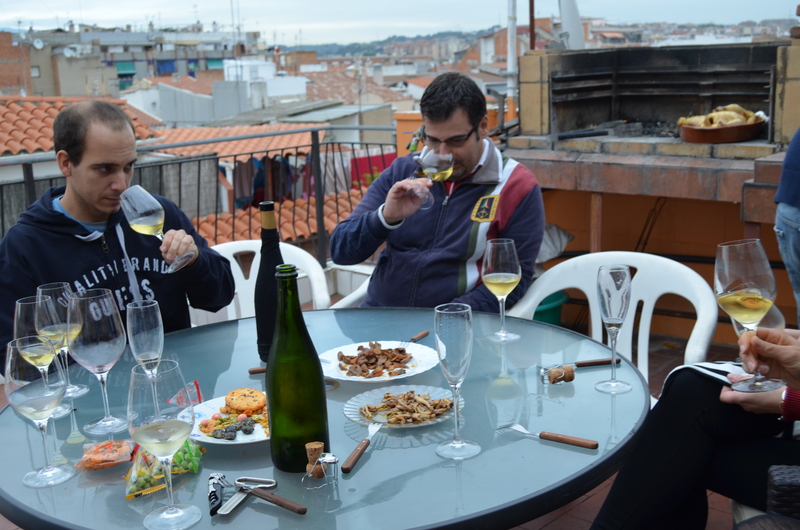 Grenache Blanc | Catalan wine in a nutshell! Pure pleasure, and as the top wine of Acustic Celler it displays and conveys the elaboration and terrior to perfection. Grapes from three old Garnacha vineyards, all 70 years and older. A full-bodied sensual sensation, with well ripened red fruits, cherry is clear. I distinguished some licorice and a little spiciness with clear oak as it progressed. Medium long finish. Nicely integrated tannins. Could easily stay in my cellar for another 5 – 10 years. The downside…….., not enough bottles on the market! 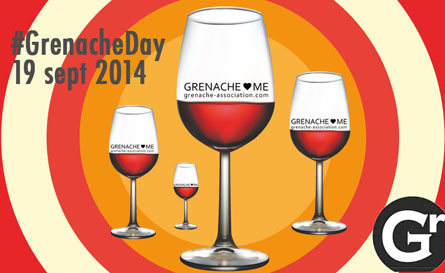 The third Friday of September is celebrated as the International Day of Grenache. Coinciding with this important day for all wine lovers, events are organized today and during the weekend to come. This is the fourth year of this initiative, a series of activities for everyone that enjoy a glass or two of Garnacha, Grenache or Garnatxa, as it is referred to in Catalonia. 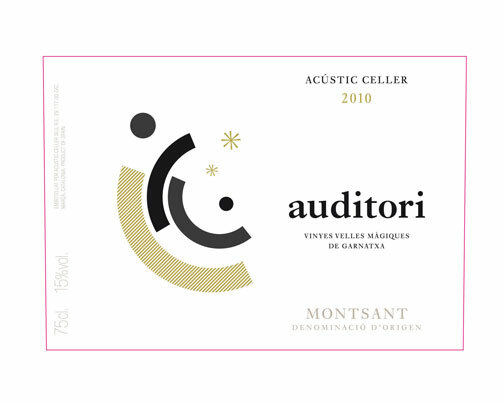 I’ve chosen to open a bottle of Auditori from Acustic Celler! What could possibly go wrong with that choice? 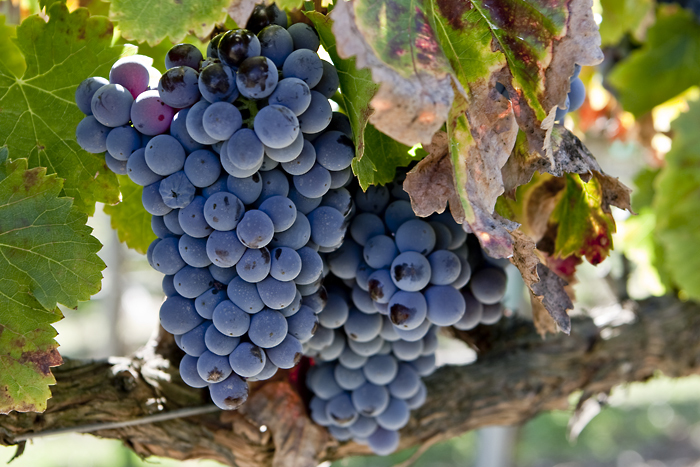 Grenache is a variety of Mediterranean origin and one of the most cultivated worldwide. 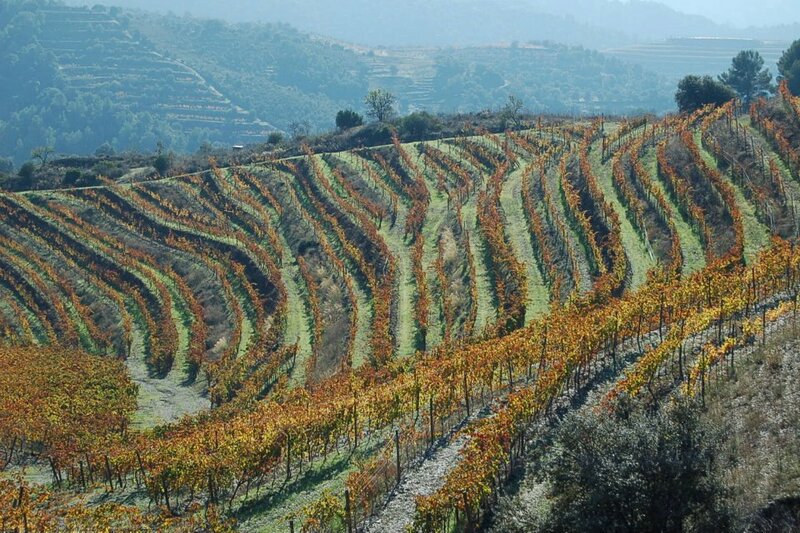 In Catalonia, it is estimated that there are about 5,000 hectares planted. Many wines are made with the help of this great grape variety, either as a mono-varietal or blend. It transmits the identity of a region and the expression of a landscape in a perfect way, picking up the different soils and microclimates of the regions in which we can find it: Montsant , Priorat Emporda, Terra Alta Alella, etc. Over centuries, the Grenache vine has produced colour mutation vines with berries of all range of colors, and also the hairy Grenache, in Catalonia called Garnacha Peluda The latter is a clone, originating from the Tarragona region. Grenache can be made with a variety of fruity wines and good acidity from youth to sparkling whites, and also sweets. Grenache Noir is generally spicy, berry-flavored and soft on the palate with a relatively high alcohol content, but it needs careful control of yields for best results. Characteristic flavor profiles on Grenache include red fruit flavors (raspberry and strawberry) with a subtle, white pepper spice note. Grenache wines are highly prone to oxidation with even young examples having the potential to show browning (or “bricking”) coloration that can be noticed around the rim when evaluating the wine at an angle in the glass. As Grenache ages the wines tend to take on more leather and tar flavors. As for sharing favourites……, well I guess that’s what I do all days! 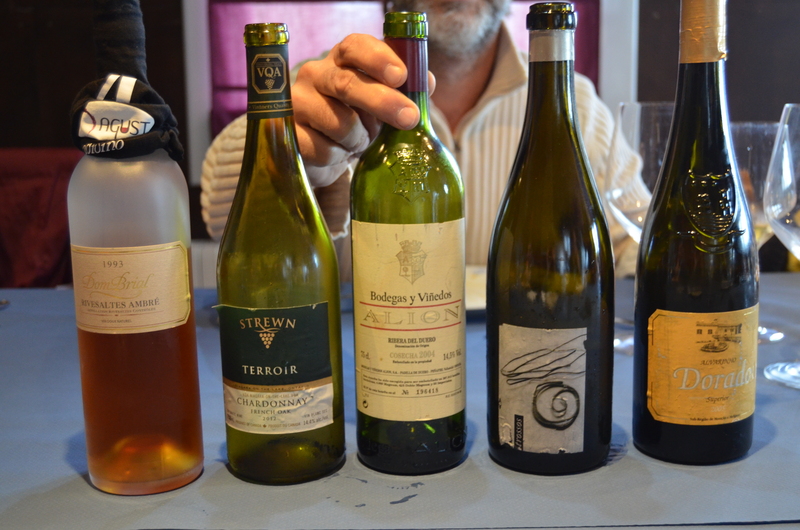 But just for the heck of it, some of the Garnacha wines I wouldn’t mind having on a a more regular basis could, but not be limited to, be the following; Espectacle 2010,Teixar 2010, Trossos 2011, Cerverola 2011, LLuna Vella 2010, Cims de Porrera GX 2006, Raret 2011 and Mas Plantadeta 2008. 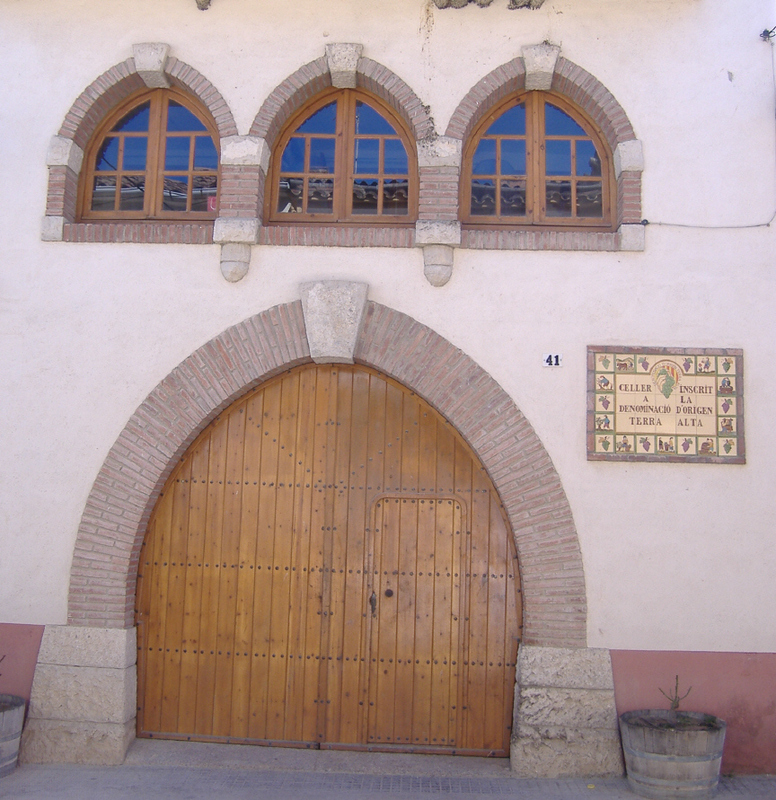 Vineyes Domenech, one of the wineries in Catalonia that promote Grenache. 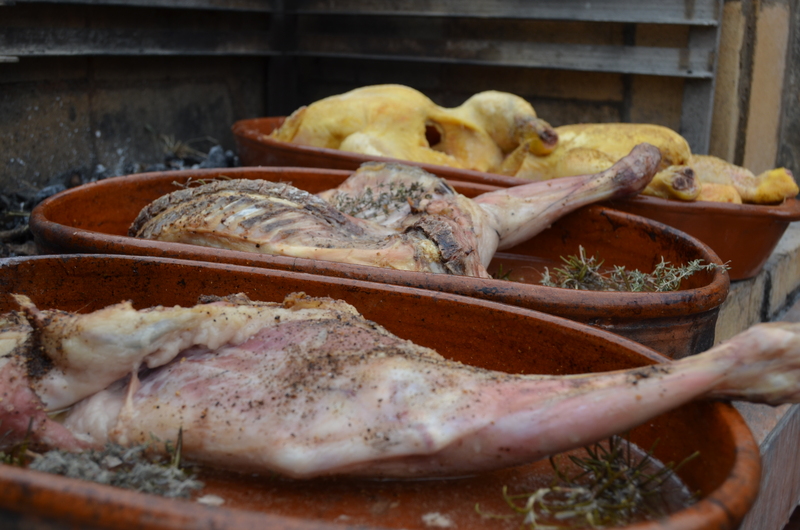 They organizes collaborations with chefs and sommeliers in different restaurants and speciality shops during the Day. 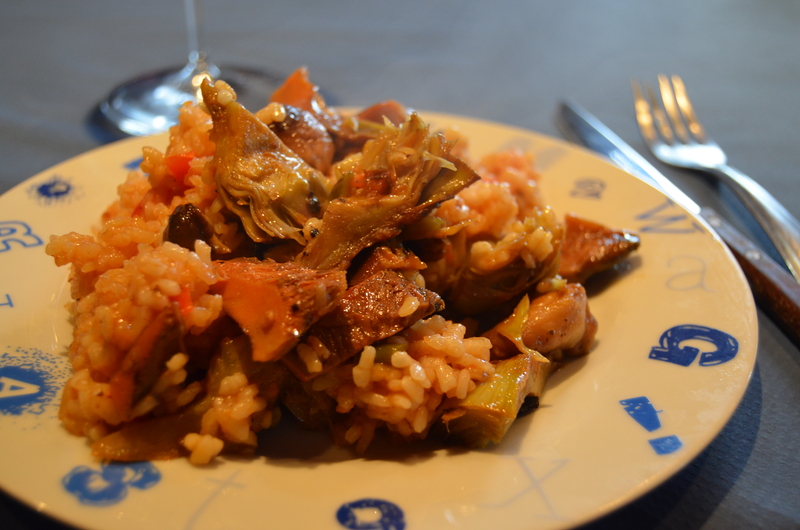 Among them, the restaurant Dos Cielos, la Cuina del Guinardó, el Hoffman, Divi i el Colmado Quilez de Barcelona, the restaurant at the Club del Cep d’Arenys de Mar, the Cellar Montserrat de Mataró and the Cellar Florida de Barcelona, Cal Feru de Sant Sadurní d’Anoia, Bodega Jordà de Tarragona, Can Bosch de Cambrils, etc. If you feel for a drive through the countryside, you are certainly welcome to visit Vineyes Domenech, to see for yourself how the Grenache is treated in situ. 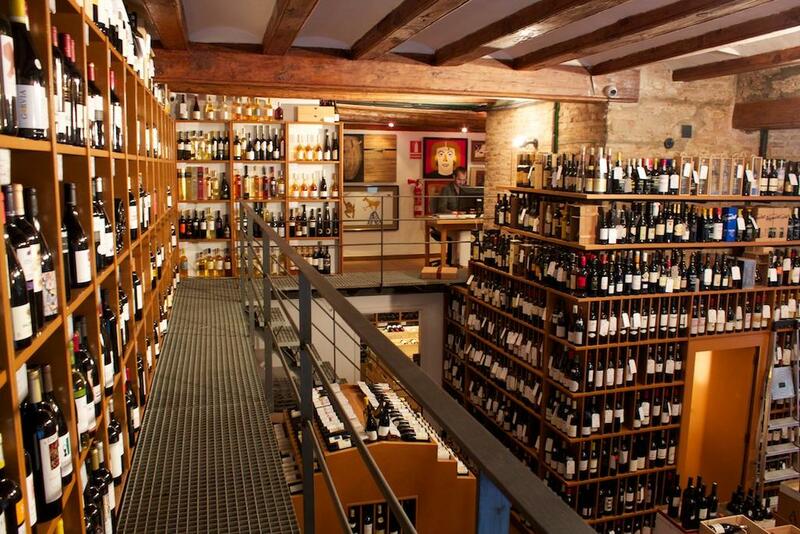 Vila Viniteca, a well renowned wine shop in Barcelona, celebrate Friday evening with a tasting of 25 wines made from the variety, including the Tros Negre 2011 (Montsant), Cabrida 2010 (Montsant), Brunus Rosat 2013 (Monsant), L’Equilibrista Garnatxa 2012 (Catalunya), Quike Rosado 2013 (Catalunya), Gamberro Garnatxa Blanca 2011 (Terra Alta), Gotes Blanques 2013 (Montsant), Masia Serra Ino (Empordà), Pansal del Calàs 2010 (Montsant), etc. This tasting is free of charge. Living and working here has its perks, as I have pointed out many times before. 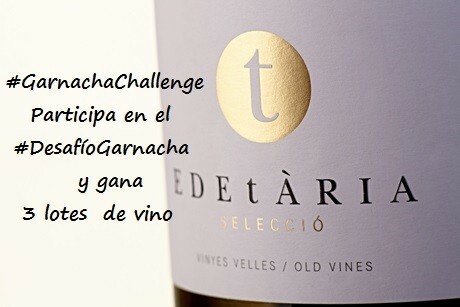 In addition to the above activities, The Celler Edetària, has posted a contest on their official Facebook page, called the “Grenache Challenge 2014“, where you have a chance to win one of their wines. Enjoy Wine Barcelona are tasting Grenache wines from DO Empordà at The Santa Caterina Market in the Born area of Barcelona, and this is where they normally have their wine tasting activities, Grenache day or not. 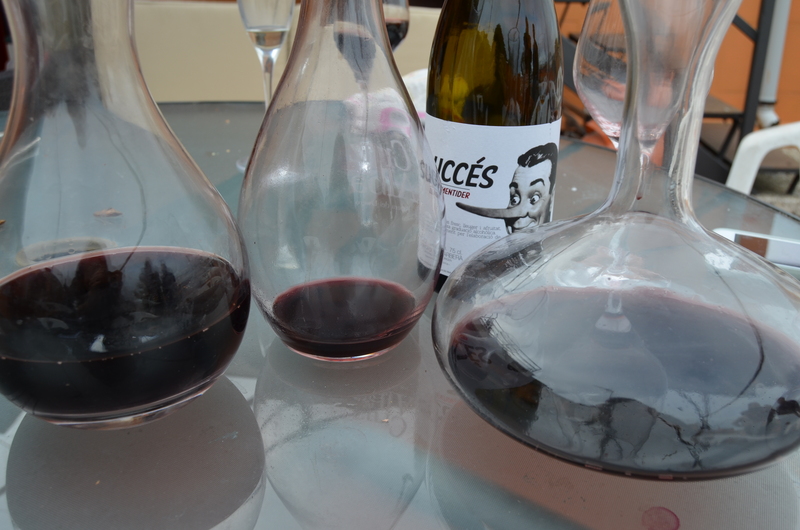 Now all that remains is to enjoy the day and appreciate the Grenache variety to its fullest! Enjoy! Bright yellow colour with green highlights. 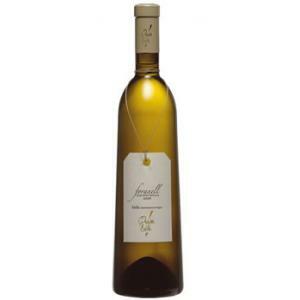 Notes of Mediterranean herbs (lavender and thyme), ripe white fruits with touches of citrus. Some green apple but just slightly and a hint of some fruit, ripe peach. In the mouth it is full bodied and characteristically Mediterranean, the ageing on the lees giving the wine additional volume. The clay soils give a hint of minerality together with the acidity which should give the wine the potential to age and further develop in the bottle for some months to years. This wine captivates through its delicate fruits, harmony and distinctive character. A very well made Terra Alta white Grenache. It not just an illusion! 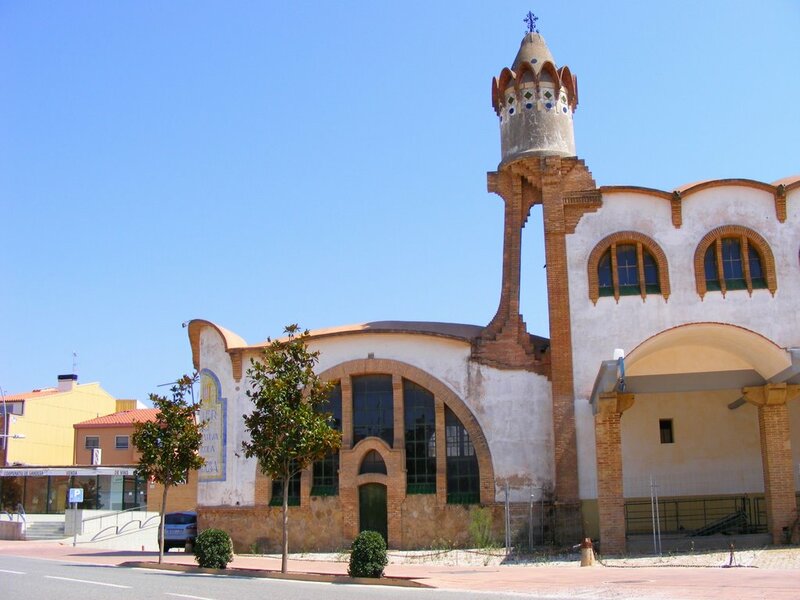 Vilalba dels Arcs is one of the twelve communes of the Denominacion d’Origen (the equivalent of the French AOC) of Terra Alta, in the heart of the Ebre region in southern Tarragona. In this part of Spain the fields are surrounded by hills (the Ports and the Sierras of Caballs, Pàndols and Fatarella ) and cut by a lot of valleys and dry creeks that makes the landscape capricious and complex. 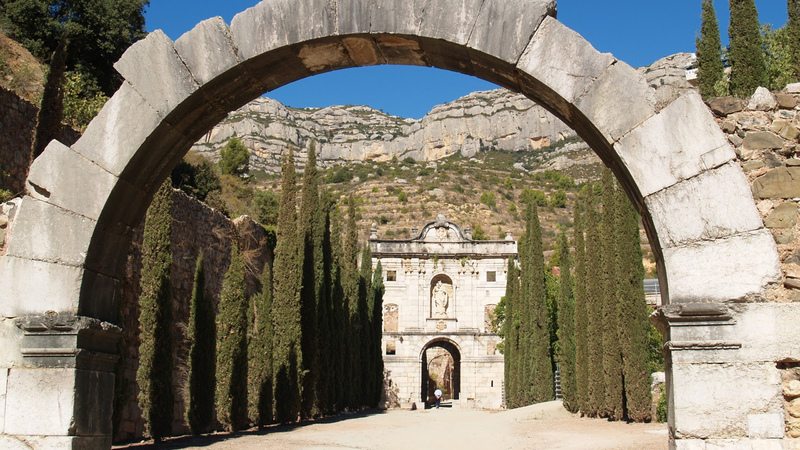 This situation gives the Terra Alta a climate with both Mediterranian and continental influences with hot summers and cold winters – the annual rainfall is less than 400mm. The high altitude and the numerous valleys increase the risk of frost in the spring. 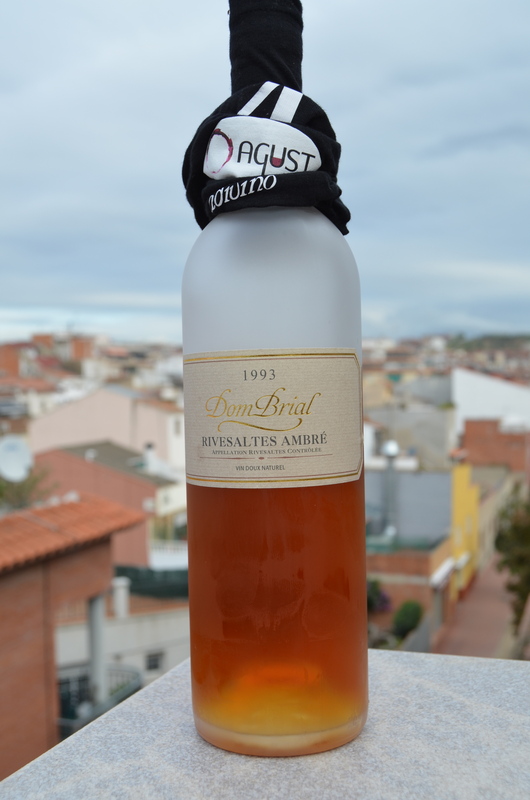 Its proximity to the Ebre river make the prevailing wind the Cers (mistral), a dry wind from inland Aragon that keeps the vines healthy, combined with the Garbi, a humid wind blowing inland from the Mediterranean. The soils are calcareous clays, with low levels of organic material, but rich in elements that favour good drainage. It is, therefore, a terroir that guarantees grapes which are ideal for a quality wine production. The vineyards are trellised to maximise the exposure to the sun, making for ideal ripening in late summer. 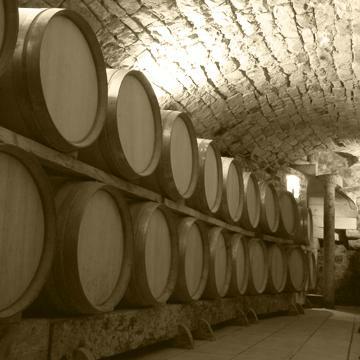 The Xavier Clua wine cellar is situated in Vilalba dels Arcs, in the Terra Alta in Catalonia – a dry, sunny area where vine-growing and wine production have been a tradition since medieval times. 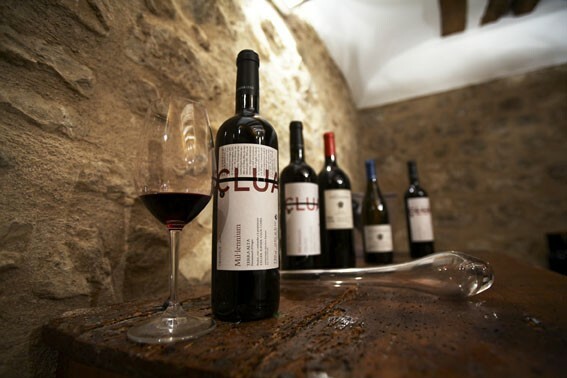 For four generations, the name of Clua has been associated with the culture of the vineyards and the production of wine. 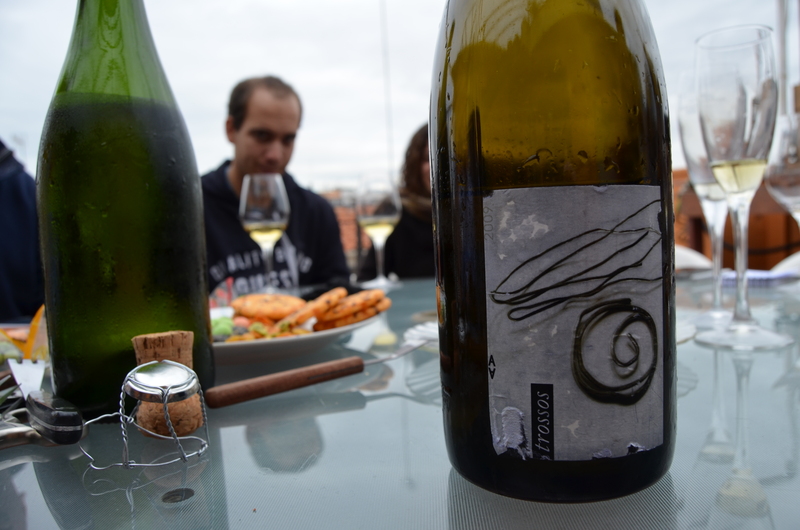 The latest generation, led by Xavier Clua combines the experience of this viticultural tradition with university training, bringing new perspectives and techniques both to viticulture and winemaking. In 1995 the small family enterprise exchanged the production of bulk wine for a quality product, sold in bottles with personal labels. This evolution only underlined the desire keep working with a limited production to obtain a rigorous selection of the different grapes of each plot and close control of the whole winemaking process. More and more the products of the Cellar Clua acquire a name in the wine world and the family enterprise has grown with the addition of Rosa Domenech: Xavier’s wife and an experienced oenologist in her own right. With this growth it became more and more necessary to expand to a newer, more modern site. In 2006 this dream came true with the creation of a new infrastructure where the usability is guaranteed by a contemporary architectural construction and modern technology going hand in hand with the tradition and love for the terroir. As in the vineyard, in the wine cellar: the members of the Clua family are guided by their love of the land that, day by day, they bring to their wines. Today the wine cellar’s facilities are located at two sites in the village of Vilalba dels Arcs. 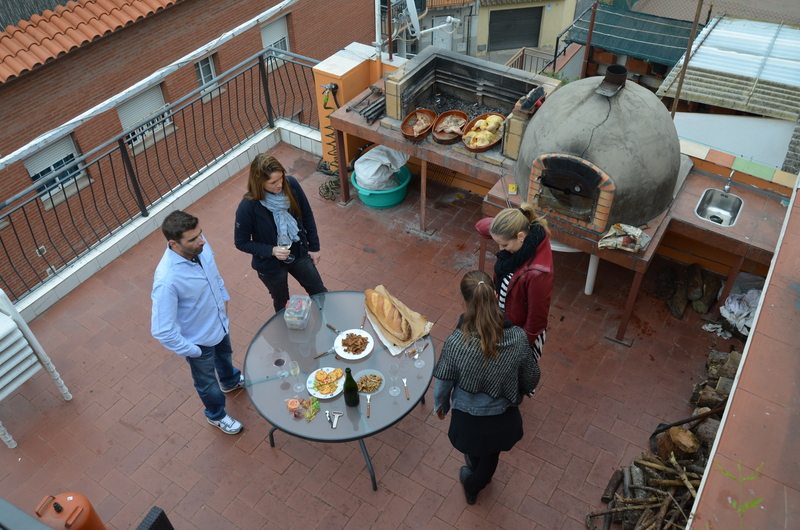 The first of the two is situated in the heart of the village in a house in the Carrer Sant Isidre. The ground floors of this building, restored and converted for winemaking in 1995, was the home of the wine cellar for the first decade of the business. Today this old stone building has two areas: the barrel hall where our wines are aged and the tasting room. The second site was purpose-built in 2006. 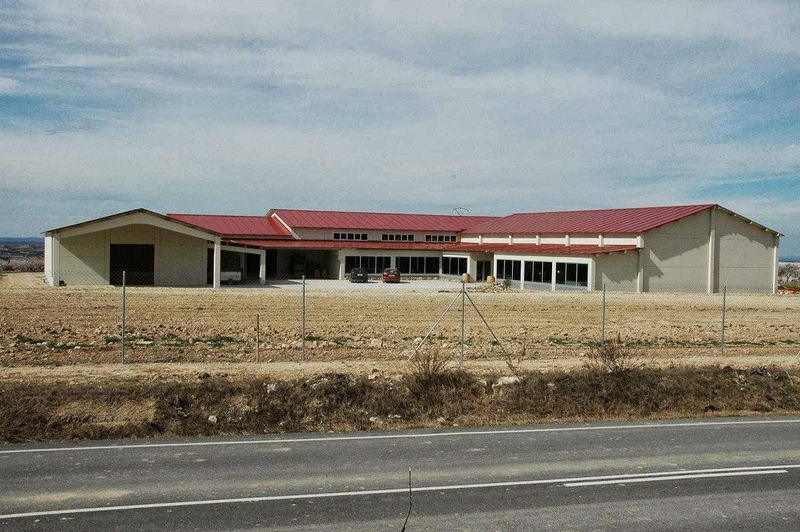 It is a large and modern infrastructure, situated just on the outskirts of the village on the road to Gandesa. Rosa and Xavier takes over fifteen years working the vineyard and imposing its mark on a balanced and sensitive winemaking. His young white Mas d’en Pol 2011 was proclaimed Best Young White Wine and I also liked their Mas d’en Pol Barrel 2007 a ​​blend of red Grenache (40%), Cabernet (20%), Syrah (20%) and Merlot (20%) with 8 months on oak, full-bodied but the ripe fruit is well present and easy to appreciate. Celler Cooperatiu de Gandesa, Kodachrome in D.O Terra Alta! Somdinou Blanc is clean and bright, presents a waxy pale yellow colour, with faint greenish sparkle. Thin tears, slightly fatty. Good aromatic intensity, besides conveying a fresh feeling it also transmits, without effort, tropical fruit fragrances with good citrus notes and also the presence of white fruit like pear. There are also some sweet notes, which lays nicely as an additional spectra. It has a good entrance, cool and smooth, with a mean impression of creaminess, but very light; the fruity sensation is present and dominates at all times. It is a greedy confusion between pineapple and pear that reaches the end of its fresh journey. Good acidity, which helps maintain freshness. 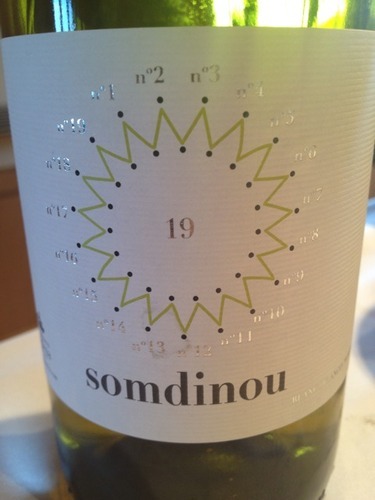 Somdinou Blanc has a nice and smooth finish, giving a hint of bitterness at the very end. An exotic wine which leaves me longing for more! This is a white mono-varietal from D.O Terra Alta. Unoaked young, fresh and promising every wine lover out there, great wines to come from this magical region, in the future as well! 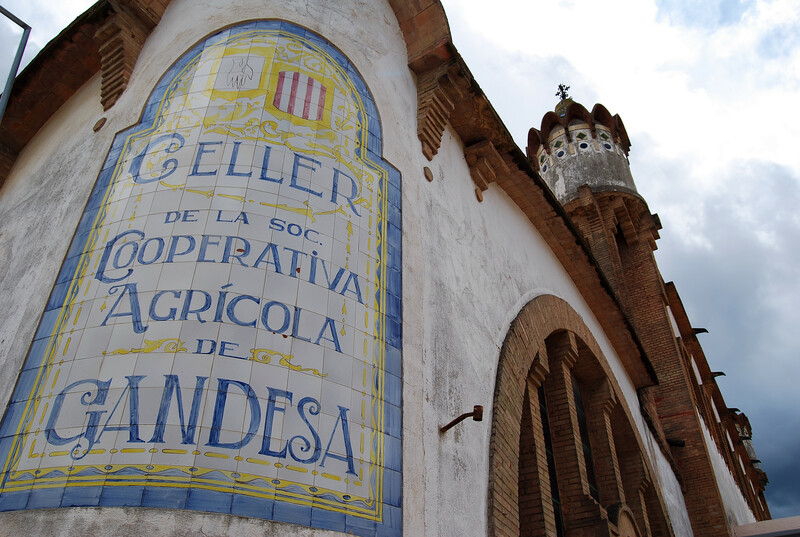 It is made ​​by Celler Cooperatiu de Gandesa in the county of the same name in the province of Tarragona. There is a reason the wines is as good as it is, the cooperative decided to use only high quality grapes, from vines more than 75 years of age of the Garnatxa Blanca variety. The harvest began in early September. Fermentation took place in stainless steel tanks at 12 ° C for a period of 25 days. They are now advised by Toni Coca i Fito. 400,000 bottles of wine are produced each year. Golden yellow with green reflections, intense aroma of tropical fruit and apricot, some notes of mint as it opens. 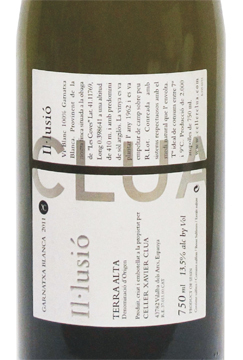 Fine aromas of ripe, floral white fruit with mineral notes and hints of aniseed. Tasty and silky on the palate with good acidity and balance, highlights its pleasant citrus finish with a slightly spicy touch. Glyceric wine that fills the mouth. The acidity is very well balanced and the wine has a long after taste. 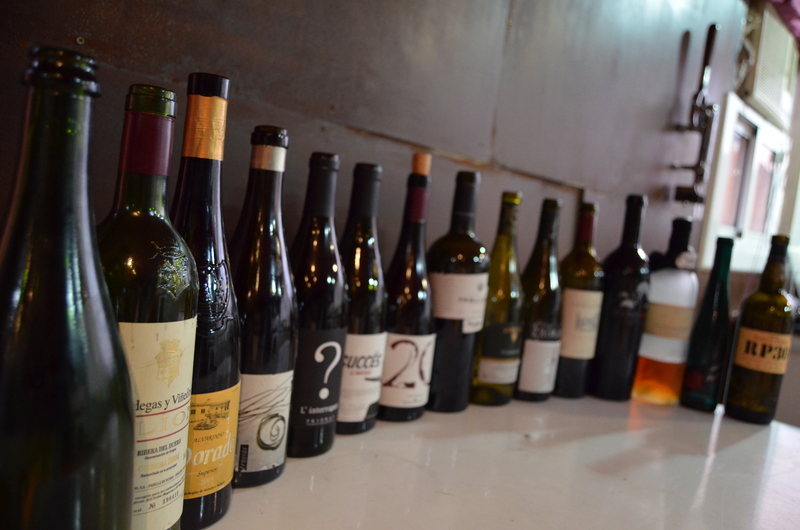 A wonderful display of what can be made with the white Grenache grown in the Priorat! 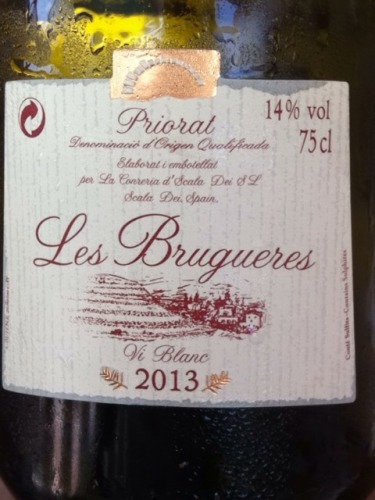 The Garnacha Blanca range, from Les Brugueres farms, “La Creueta” plays on all the strings! This is a small farm of 3 ha. of terraced vineyards planted with slate floors in 1980 and located within the municipal district of Scala Dei. Pre-fermentation maceration 75 hours, temperature-controlled fermentation with subsequent storage in stainless steel vats with its lees for 4 months. Bottled unfiltered. Celler La Scala Dei D’Conreria was named after the Monastery of Scala Dei in the Priorat region, where the monks of the Carthusian order planted the first vines in its origin in 1194. The current winery was founded in 1997, born of the will and enthusiasm of a group of people historically linked to this region. 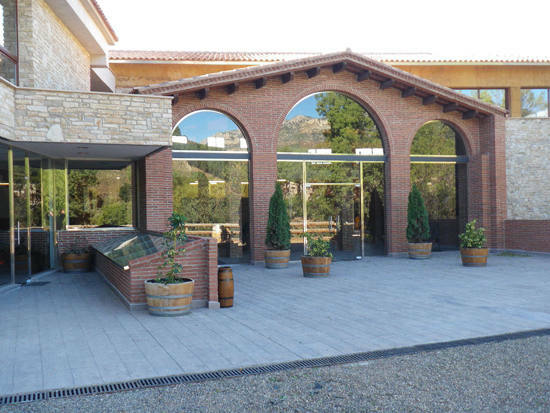 Located in a privileged setting at the foot of the Sierra de Montsant, within the natural park in the heart of the renowned wine region of Priorat. 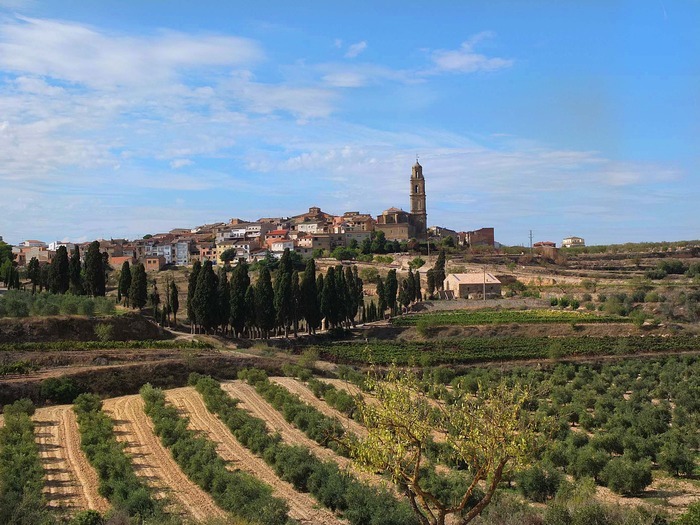 Now developing a range of quality wines from a selection of vineyards of 26.5 ha., which is spread over plots located in different parts of Priorat. Overlooking the Mediterranean from the heights of the Montsant, the Priorat is a space whose rugged topography surprises the visitor. 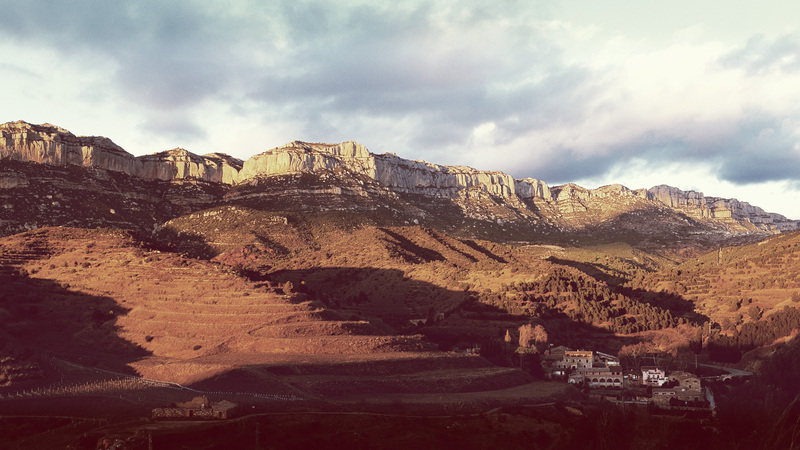 Eight centuries ago on these slatey lands, the Carthusian monks of Scala Dei marked out the terrain that is today’s modern, booming DOQ Priorat. 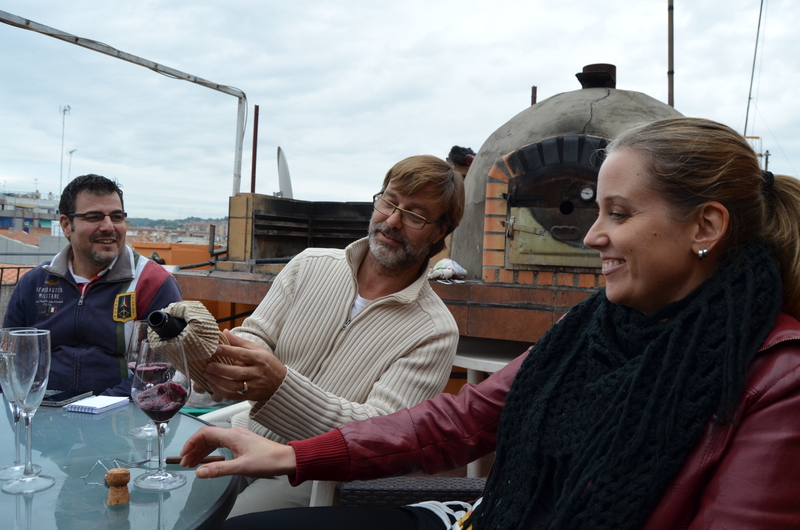 A region whose economic and social life revolves around its agricultural vocation and, very particularly, around wine. A land that the FAO recognized in 1974 as having a quality and unique traits enabling some of the world’s finest wines to be produced there. The name of the winery contains a history and a heritage that take us back to an encounter with a thousand-year-old tradition. Because they are proud of this land, they pay homage to it by taking exquisite care of the vineyards where different types and varieties of grapes are grown, wisely distributed among the region’s different enclaves, so that they can create wines with distinctive personality. In the Priorat region each door, stone and wall harbors silence, calm and a vitality that enables everything to take on meaning, to make sense. This is a place where passion and expertise make it possible to work that miracle: The creation of great wine! Green flashes in the pale straw yellow, typical for the wines from the region. The nose provides primary aromas of citrus (mandarin and grapefruit, etc. ), with very pronounced ripe fruit (peach and banana). 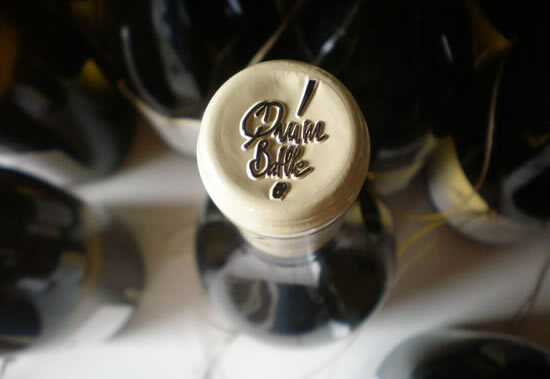 Light ageing in French oak brings hints of vanilla and cocoa, while the terroir gives flavors of spices and minerales. The mouth has an excellent structure, wide step and a very persistent after-taste. 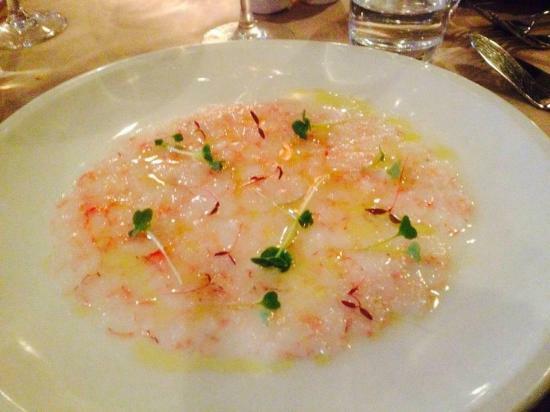 Pairing with original, sensational dishes that contrast the flavours of the wine, like prawn carpaccio with pistachio oil or cod with garlic mousseline. The grape variety of White Grenache or Garnatxa Blanca is known under several names. You might have heard of Garnatxa Blanca as Garnacha Blanca, the x in the first is the Catalan spelling. 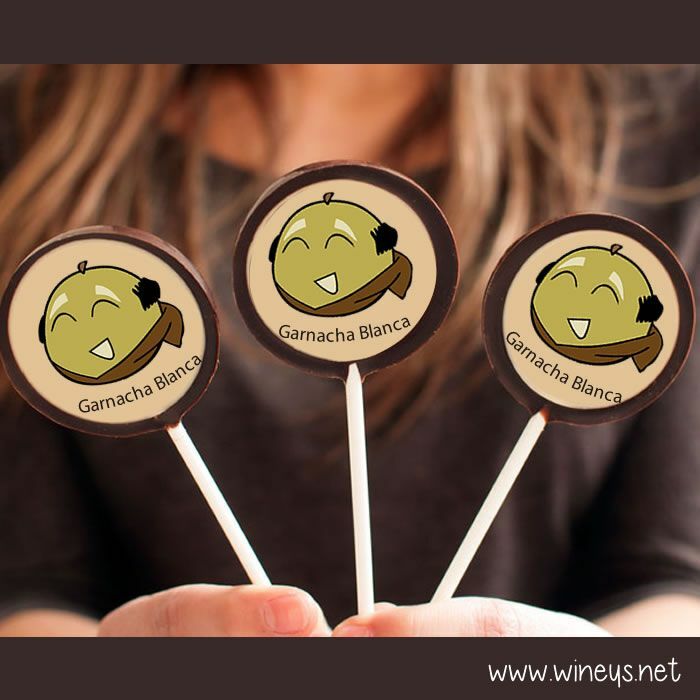 The other known names are Garnacha Gris, Garnacho Blanco, Grenache Blanc, Lledoné, Silla Blanc, Sillina Blanc…., this is the variety that forms the Foranell White Grenache. 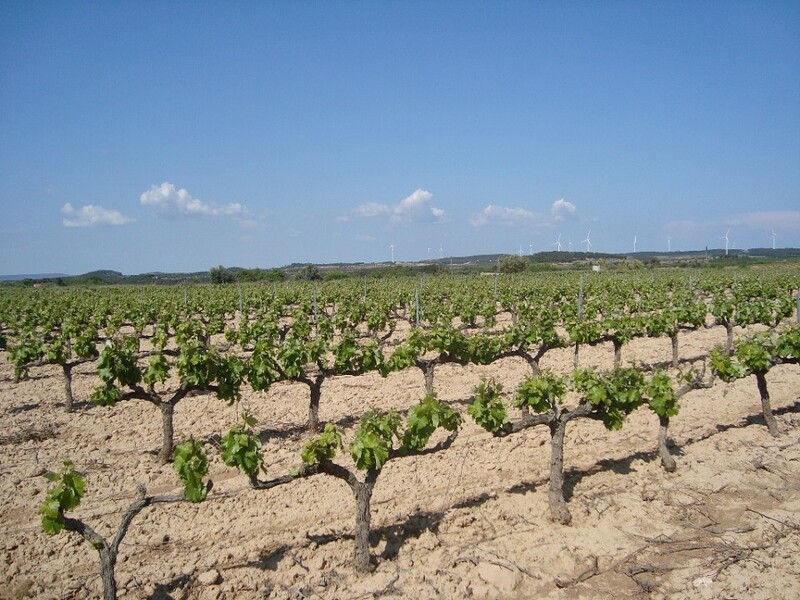 The White Grenache is a Spanish white grape variety and it is found widespread throughout Spain, being particularly abundant in Tarragona, Zaragoza and Teruel. This is a variety cultivated in D.O. Alella, Carignan, Cigales, L’Emporda-Costa Brava, Navarra, Priorat, Rioja, Somontano, Tarragona and Terra Alta primarily, but we can also find it in Aragon, if we wander outside Catalonia. According to the Order APA/1819/2007, the white grenache is recommended in the regions of Aragon and Catalonia, in the latter being known as Garnatxa Blanca and Lladoner Blanco of the vitis vinifera variety; it is also authorized in Navarre, Basque Country and La Rioja. As a plant, it is quite productive and disease resistant, producing not very large but compact clusters. The berries are medium-sized, round, yellow-green in colour. 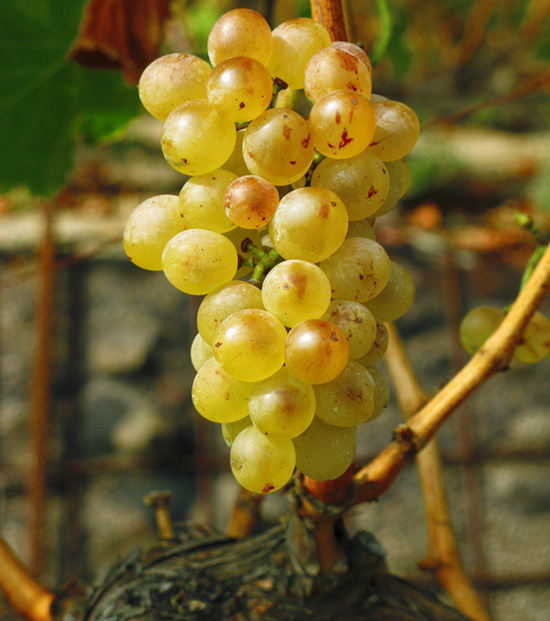 The grape variety Garnatxa Blanca, is in certain areas vinified on its own or blended with Macabeo, Parellada to produce Cava and Pedro Ximenez or Moscatel to prepare Mistelas. In the case of producing varietal wines they usually give of a nice level of alcohol, fresh, full-bodied and elegant wines, with a pale yellow color, on the nose it is quite floral and shows loads of ripe fruit aromas and flavours.